This book probably doesn't need any more praised-filled reviews but I'll write one anyway. This is one the "big" books, literally and figuratively. Donna Tartt writes with such hauntingly beautiful prose that I found myself relishing and in awe of even the most melancholy of passages. 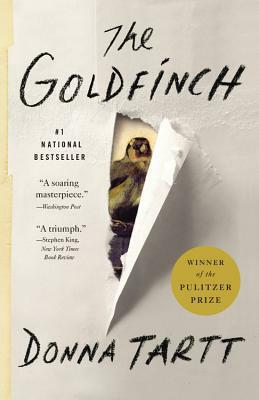 At once both heartbreaking and hopeful, the Goldfinch is a book to which I know I will always come home. I am positive this book will be read a hundred years from now and I am confident the reader's heart will break and sich itself together again by the end, just as mine did.